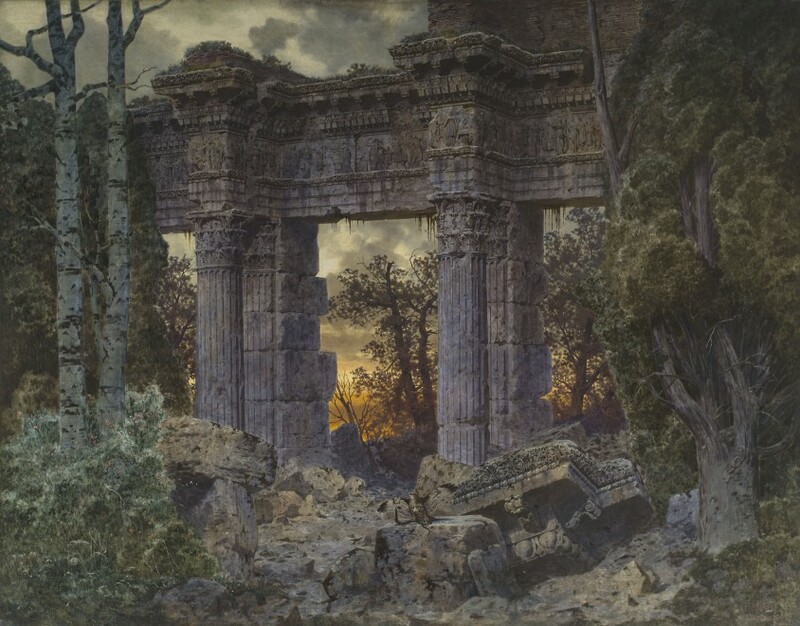 artist in the romantic vein who specialized in the depiction of ruins and architectural fragments. returned in the 1860s, but he was back in Munich in the 1870s, before finally settling in Italy. having found his niche, he continued to produce variations on this theme from the 1870s (fig.